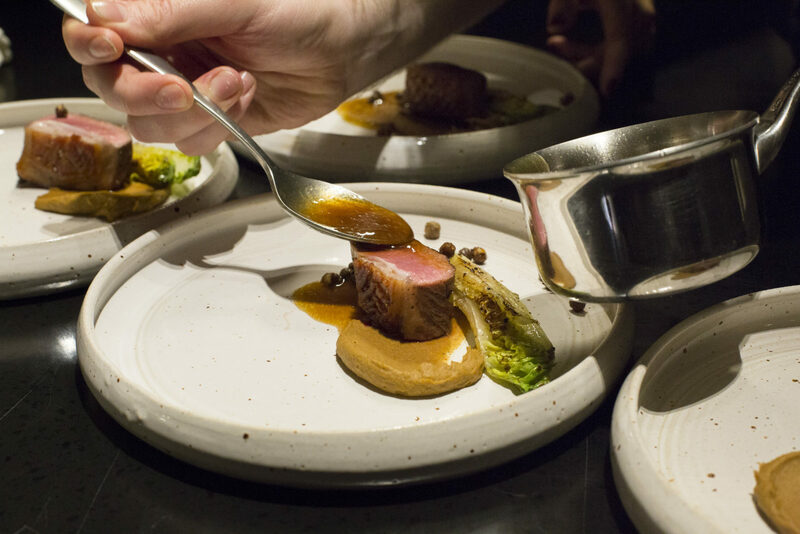 (EN) Up until very recently, food in Berlin was considered functional. Something you did after work or before partying, depending on your lifestyle. It wasn’t a part of the hedonistic weekends that visitors flock to the city for and no one cared to spend money on it. 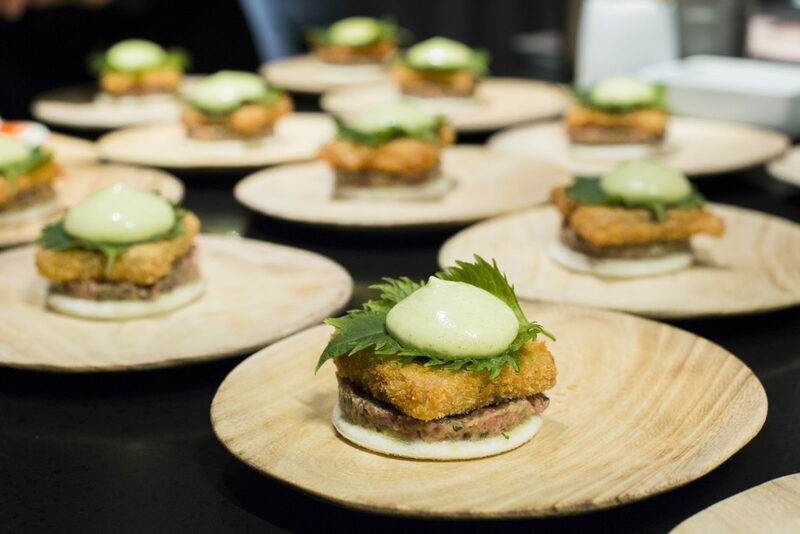 (EN) Restaurants promising ‘Sushi, Pizza, and more’ lined the streets and you could consider yourself lucky if your döner didn’t contain mystery meat. A lot has changed over the past decade though, and even with rising rents, Berlin remains incredibly cheap compared to most metropolitan cities. 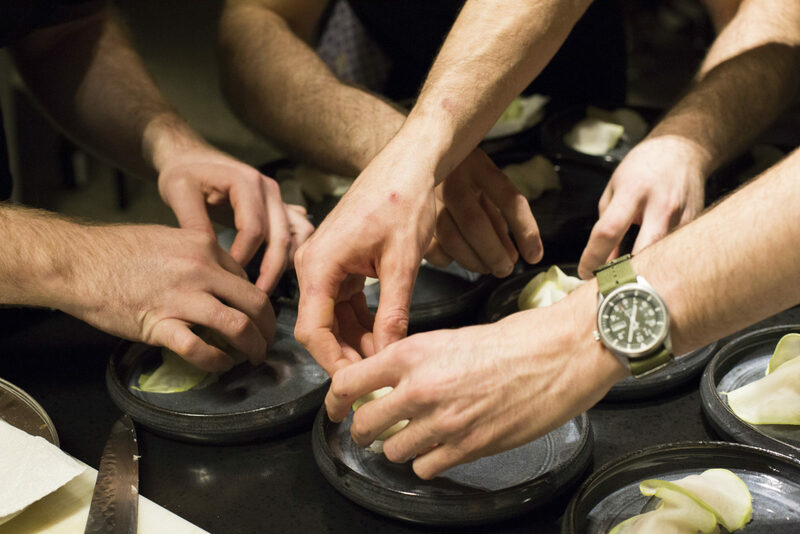 This has lead to an influx of eager restaurateurs who are opening innovative concepts, which they couldn’t afford to do in say, New York, London, Amsterdam, or Tel Aviv. 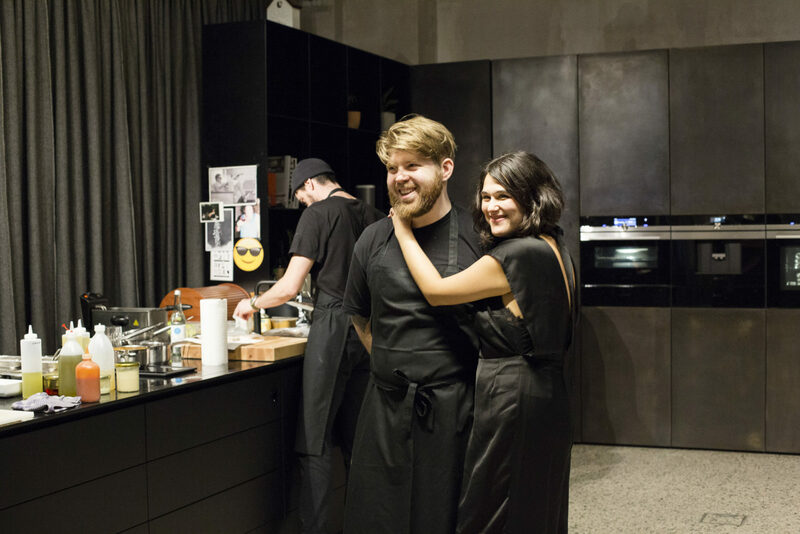 It’s an incredibly rare feat, to open a place without feeling like you owe investors huge sums and without the need to compromise on your concept—something Ben Zviel and Samina Raza of Mrs. Robinson’s restaurant knows only too well. Berlin is the only place that could offer him this type of freedom. 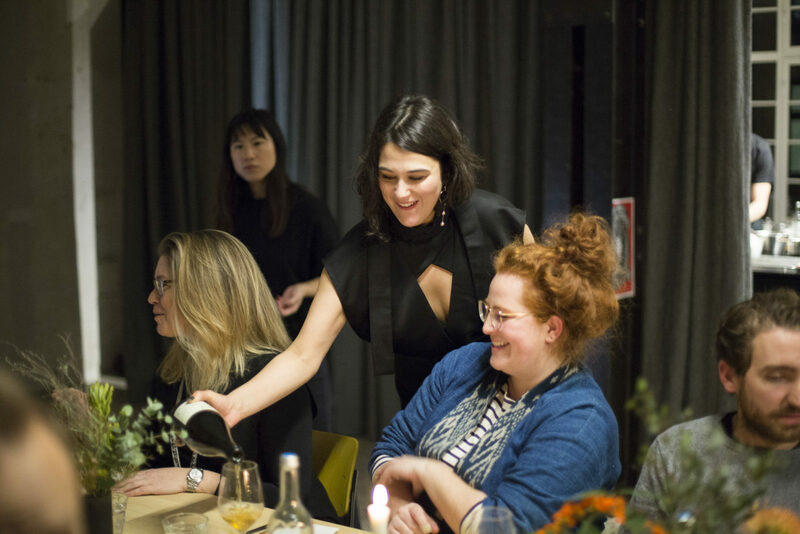 The continuously expanding population of expats and international tourists are willing to pay higher prices for their dinners, which has allowed a young, innovative food scene to flourish. 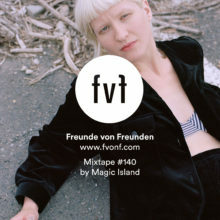 (EN) This trend was the premise for Freunde von Freunden’s second Loosen Tongues event, which certainly lived up to its name. To kick off the evening, proprietors of Mrs. Robinson’s Samina Raza and Ben Zviel served a delectable menu to an intimate crowd that included fermented chilli butter on freshly baked sourdough, spicy wing fried oysters with devilled eggs, juicy sweetbread and beef tartare sandwiches with lashings of shiso bearnaise, and ended with an incredible amazake ice cream blanketed in a tantalisingly sweet and salty caramelized soy sauce. 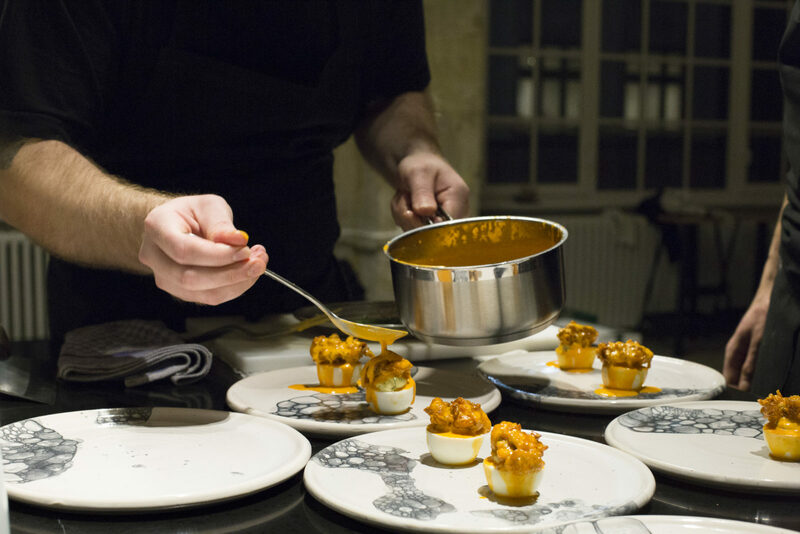 A prime example of the innovation that’s happening right now in the kitchens of Berlin. A specially curated selection of natural wines by Holger Schwarz of Viniculture rounded off the menu. While dinner guests enjoyed their last sips of wine, friends and family of Freunde von Freunden crowded the Friends Space, enjoying a custom cocktail menu provided by this year’s Diageo World Class Bartender Sven Goller. 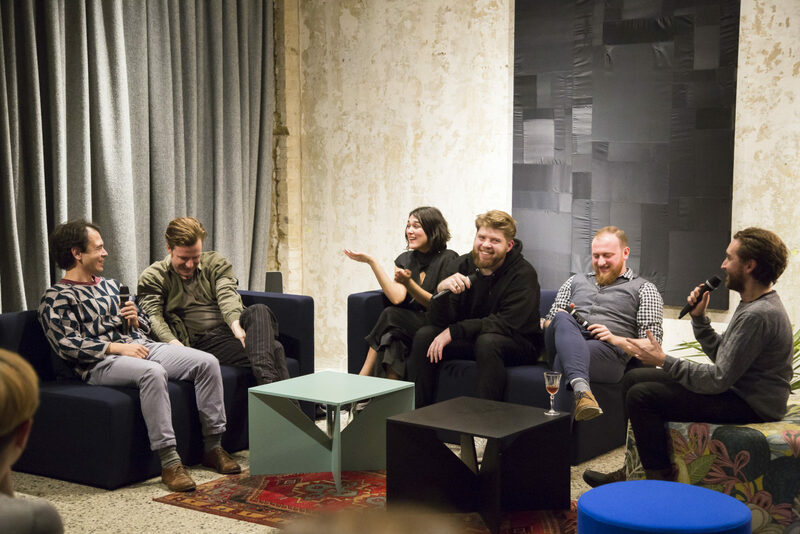 (EN) Hosted by Berlin’s foremost coffee expert, World Champion Cup Taster and Director of the Berlin Coffee Festival Cory Andreen, the night’s panel discussed the shifting gastronomic landscape of the German capital. Panelists included Markus Shimizu of mimi ferments, Billy Wagner of Nobelhart & Schmutzig, as well as Samina Raza, Ben Zviel, and Sven Goller. 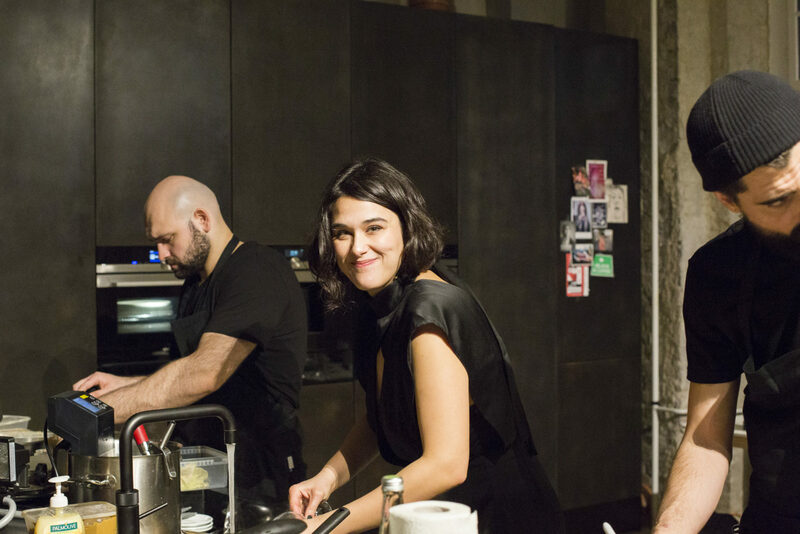 (EN) As co-owner, Samina Raza lights up hospitality at Mrs. Robinson’s in Berlin's Prenzlauer Berg. (EN) Inside Mrs. Robinson’s tight quartered kitchen in Prenzlauer Berg. 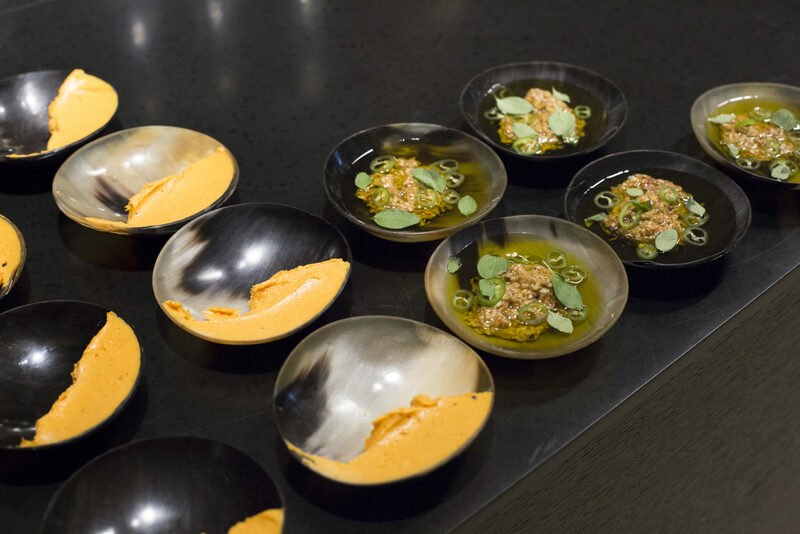 (EN) Minimal design paired with complicated yet refined dishes at Mrs. Robinson’s. (EN) Samina Raza, Holger Schwarz and Markus Shimizu tasting a natural wine: 2016 Correcaminos Rosado, from Ismael Goyzalo, to be precise. 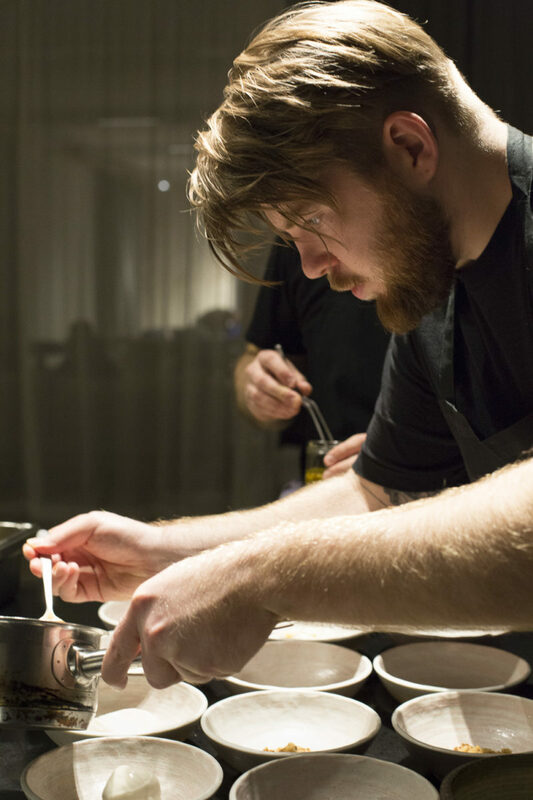 (EN) Sven is conscious about sustainability behind the bar and represents a larger movement of conscious bartenders. He works with local farmers and orchard meadows, using their fruit to produce apple juice and vinegar. 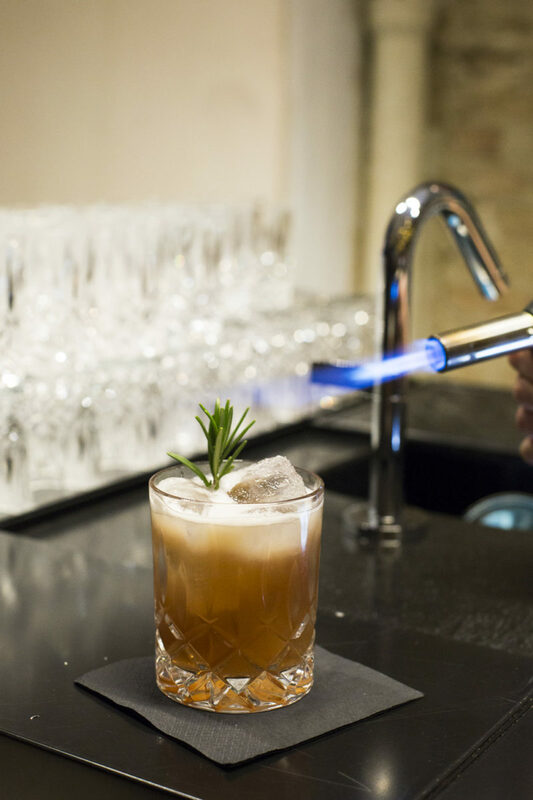 He believes that bartenders take their cue from the kitchen, adapting techniques that were first tried and tested there. He’s not alone in this, rather he represents bars all over Germany. Bars like the Berlin-based Velvet have started using Verjus (a highly acidic juice made from any type of sour fruit) instead of lemon, cutting down the need to import citrus from far away. 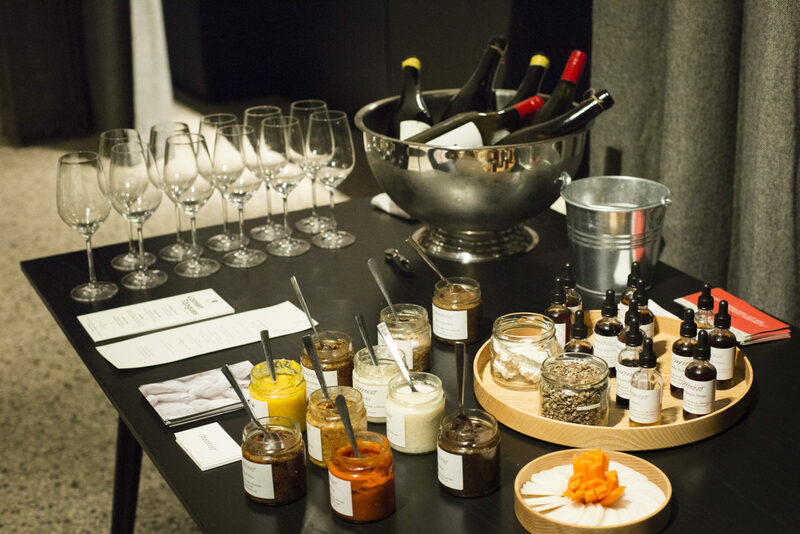 They’re also looking to Scandinavia for inspiration, making use of what can be found in front of their doorstep, like the often forgotten sorrel herb, instead of exotic alternatives. 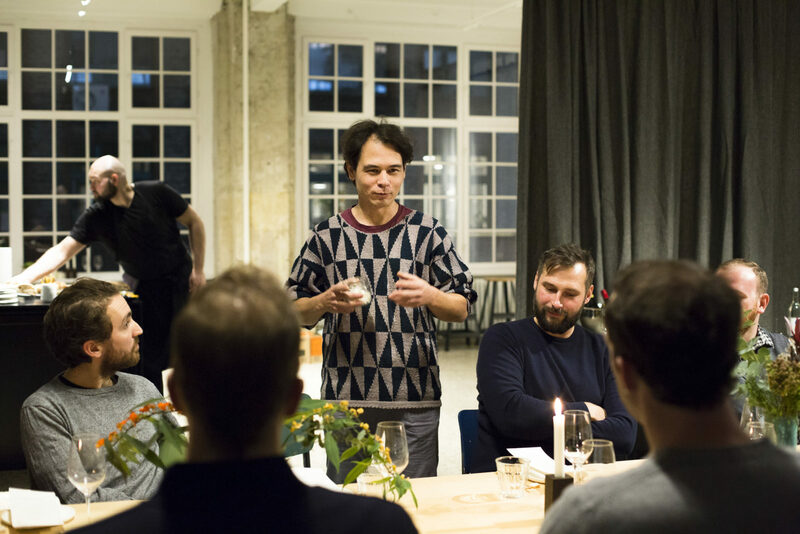 (EN) Sven Goller, World Class Germany Winner 2017 and owner of the bar “Das schwarze Schaf” in Bamberg behind the bar at the FvF Friends Space. (EN) Method: Combine all ingredients in a cocktail shaker with ice cubes. Shake for about 12 seconds and strain with a fine strainer into a glass filled with fresh ice. 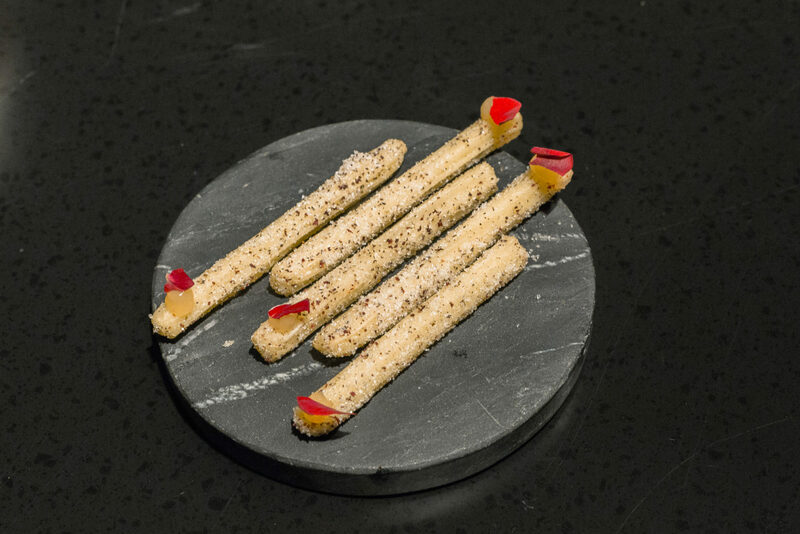 Garnish with rosemary twig and burn it with a blow torch for two seconds. 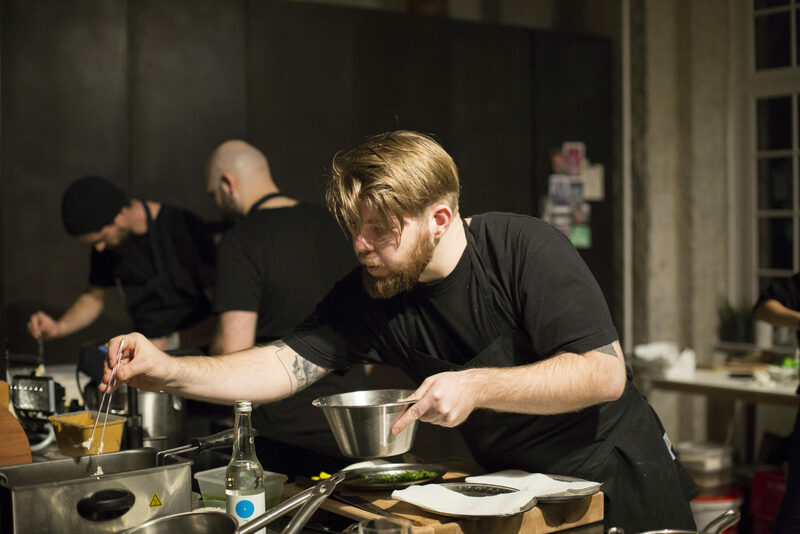 (EN) Berlin’s chefs need to be willing to adapt their cuisine, be that Thai, modern bistro, or classic German, to their current location. Focusing on the strengths of the region, rather than what they’re lacking, is the key to moving forward. 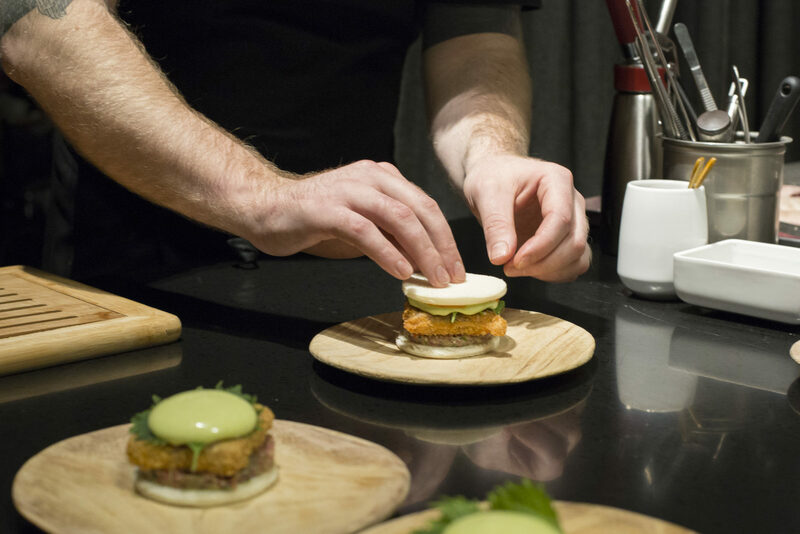 Local ingredients interpreted in an interesting way, “fusion” in the classic sense of the word, not the overwrought one. (EN) Billy Wagner, owner of the restaurant Nobelhart & Schmutzig and repeat winner of sommelier of the year. (EN) Trout with verbena and parsley from Nobelhart & Schmutzig’s exquisite menu. 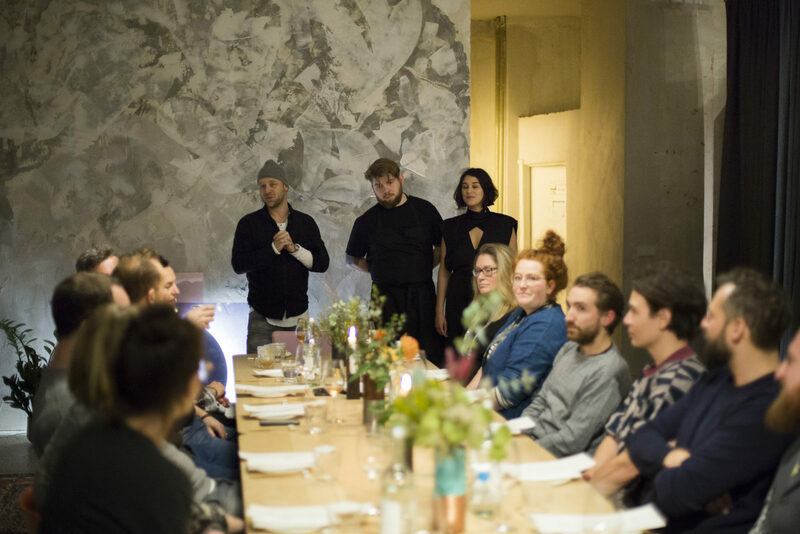 (EN) If you’d like to learn more about the group of restaurateurs aiming to establish a new German dining culture, head to the Die Gemeinshaft website. Mrs Robinson’s serve an ever changing menu that fuses international technique & flavours with the best European ingredients. Whet your appetite with their insights into the daily life of their Prenzlauer Berg restaurant on their Instagram account. Learn more about Sven Goller through his World Class profile and if you’d like to experience a sustainable approach to the bar, head to velvet.